1. Make the Case Why Entrepreneurship is Important: High performance organizations aspire to make the world a better place rather than simply to perform a task. Centers of Entrepreneurship Education must do the same. Entrepreneurship is not just another course in the catalogue; it is something that will have a high and positive impact on the world we live in. Job creation, economic prosperity and improvement of social welfare are critical goals and entrepreneurship is a catalyst on the path to their accomplishment. Educators must make the case for the importance of entrepreneurship to cities, regions, nations and continents. There are plenty of enough reports and evidence to support the case -- it does not have to be a statement of hope, it can be a statement of fact. The Kauffman Foundation has a great deal of data to support the case. Universities around the nation have spun out companies from their labs and created new industries and new jobs -- Google, Akami, Biogen, A123 to name a few. At MIT, we conducted our own study released authored by Professor Edward Roberts and PhD Student Charles Eesley. 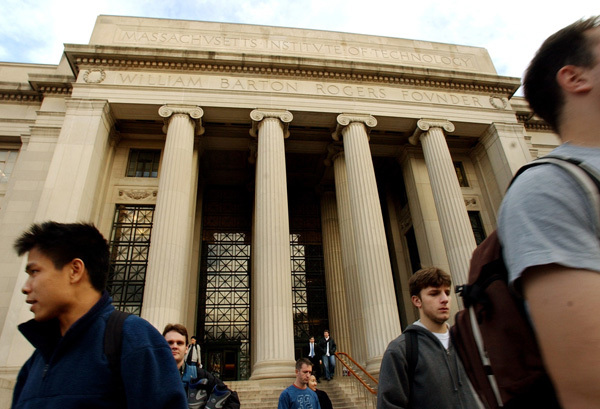 It showed that MIT Alumni are entrepreneurs who create 200-400 new companies each year. Just to put this into perspective, the report calculated that the companies started by MIT Alumni who are still alive and whose companies still exist, number over 25,000. Their combined yearly revenues total almost $2 trillion which, if it were a stand alone economy, would put it just behind Brazil and neck and neck with Russia. Entrepreneurship, new venture creation and venture growth is what we need to ensure future prosperity. It is also one important way that we translate the valuable research we do here at institutions of higher learning through our investments in science and engineering to the real world. This message needs to be clearly communicated to all. Action: Educators need to gather their facts and make the very compelling case of why entrepreneurship is real, real important. The educator must then work to educate other stakeholders outside the classroom (i.e., proselytize) to achieve the steps below. 2.Tone at the Top: For an organization to succeed, especially when it seeks to change, it needs support from the top of the organization. It is no different at institutions of higher learning. Probably the most important person who must believe in the compelling case you develop in Step One above, is the President of your college or university. Without their support, your impact will be limited. Therefore, you must have a plan to win their support and gather the necessary resources to build the Entrepreneurial Education platform you need. The university president does not have to be an entrepreneur. MIT President Hockfield, for example, is not an entrepreneur, but she understands the importance of entrepreneurship as an element of the broader educational experience. The leader of the institution does not have to be actively involved but the tone setting that this person does is critical. If university leadership is ambivalent, this can be crippling. In most universities (MIT included), some faculty are openly hostile to entrepreneurship. These faculty regard it as a corruption of the pure mission of their institution of higher learning -- something unteachable or a set of stories that don't match the rigorous traditional discipline-based courses. Resolution of this issue -- building an evidence-based case for the role of entrepreneurship in the economy and for the rigorous lessons we have about entrepreneurship -- is key. This is an activity that requires faculty and practitioners to work together, and can be a complex undertaking. But no bottom-up curriculum effort will overcome indifference at the top. Action: Educators need to educate the leaders of their institution about the benefits of entrepreneurial education based on real evidence and jointly develop a plan for its role on campus. Outside resources (e.g., alumni, other institutions, Kauffman Foundations) should be used if helpful to help make this case. Real and visible support (e.g., quote for brochures and website, regular briefings, support for cross-campus programs, and attendance at events or programs) is essential for achieving a meaningful impact. This is the first part of a four-part series from the MIT Entrepreneurship Center on how to improve entrepreneurship education. Steps three through six to follow next week.